$325. 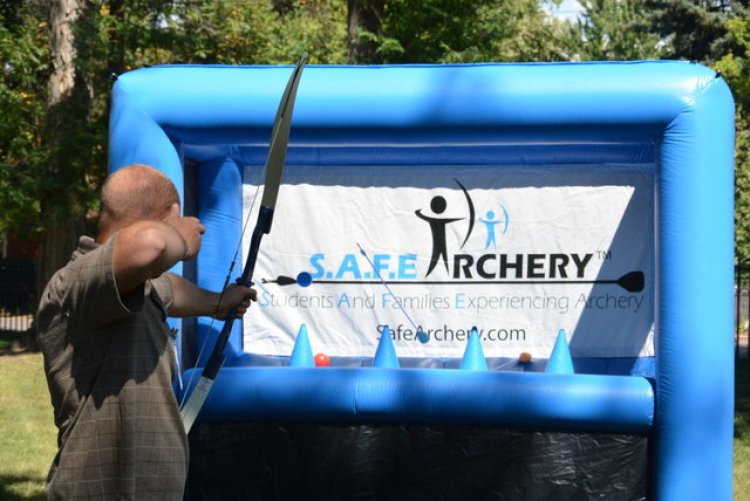 The Hoverball® Archery Target is great for your next party, camp, retreat or other event! 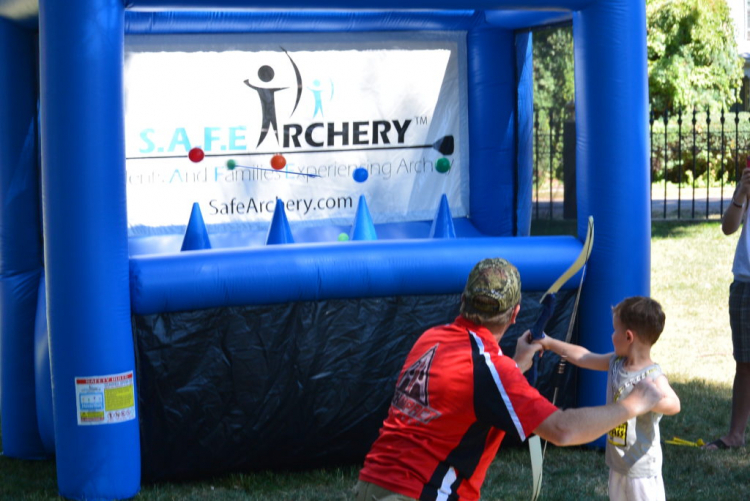 Four air streams keep target balls floating for endless hours of target shooting fun for all ages and skill levels. 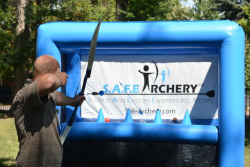 Includes Longbows and arrows, bows, stakes, blower.10' x 4 1/2' x 8'.